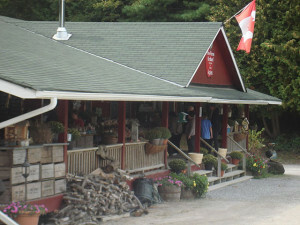 Pine Farms invites you to come and visit the orchard located in the lush rolling hills of King Township. The orchard has been in operation for more than 50 years and offers such heritage varieties as Canada’s own Melba (tender, sweet dessert apples) and McIntosh, as well as many other English and European varieties. We have approximately 5,000 dwarf trees (no ladders required)! We supply the bags and admission is free. After a delightful day in the orchard come and enjoy a delicious, fresh meal in the farmhouse cafe and gift shop – it is sure to be a treat! Fore more information please call 905 833-5459 or visit the website.